The Sears Oakdale on Emerson is a close match to the catalog illustration--despite the reversed floor plan. The original railings and surrounding detailing is intact. The original timber purlins are under the gables. The three decorative vents are gone. If you're curious, here's the side showing the fireplace chimney and dining room bay. The house was built in 1923 by Dudley and Louise Budlong. 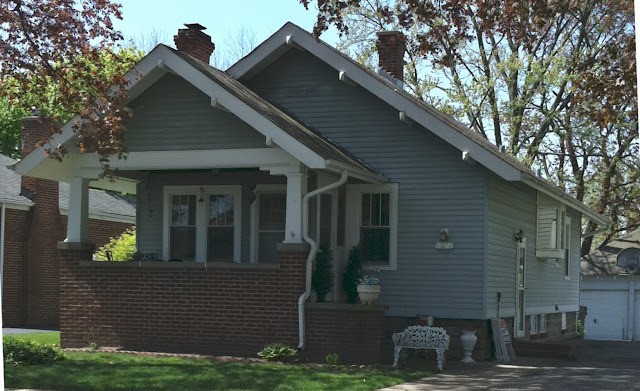 They had their first child, Dudley Jr., in 1922 and needed a new home as they started their family. 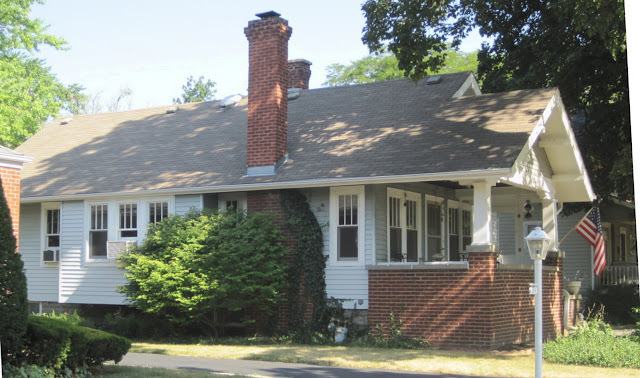 According to the Daily Herald, Dudley purchased two lots on Emerson in June 1923. In July, the lumber from Sears arrived. The house was completed in the early fall of 1923. Dudley W. Budlong was a village trustee and served as a volunteer firefighter for over 25 years. He worked for H.H. Chester & Co., an onion grower. Dudley, Louise, and their four children lived in the two-bedroom house. 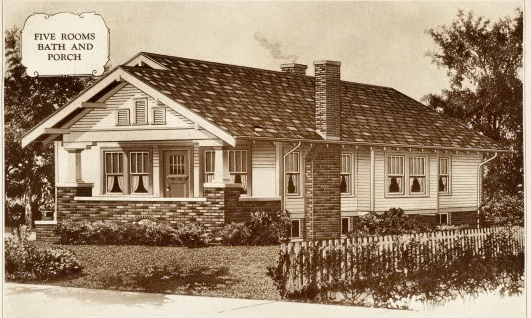 After the children were grown, Dudley and Louise sold the house and moved to California around 1948-1949. I trimmed the bush on the fireplace side. Perhaps a new photo? Every time I see my sister's house on here, I giggle.